Sometimes a bank, landlord, or some other organization would like to verify that an employee does work at a company. Then the company should provide an employment verification letter. 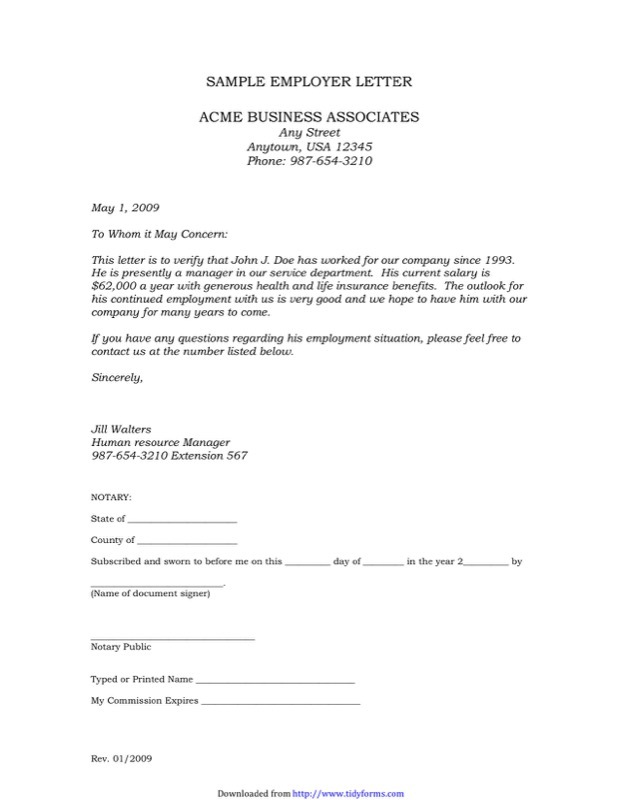 The employment verification letter is simply a letter that proves employment, and it is a vital important letter for the employee and the employer as well as the organization that receives the letter. 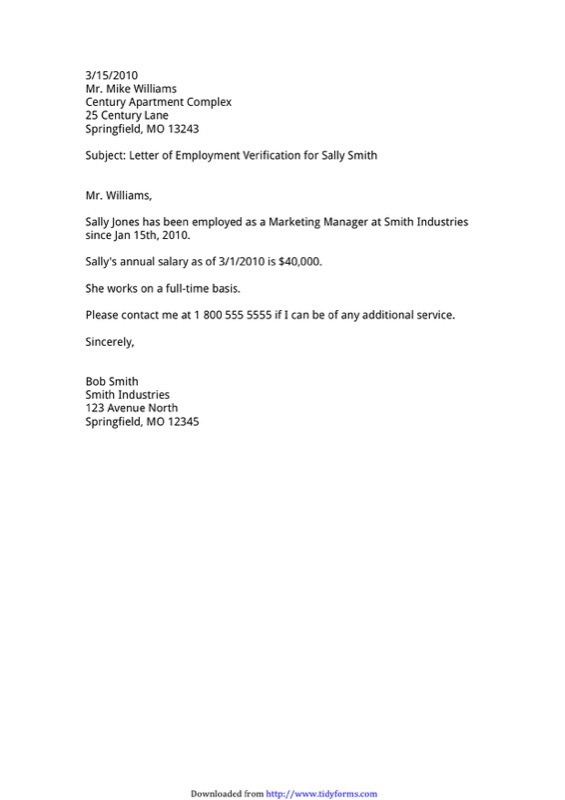 The letter is used to make sure that the individual is in this company, to prove that the employee receives a regular salary, to prove he or she has the income to meet his or her obligations to get credit or to pay back a loan, or even to prove that the individual has the ability to move into a new apartment. The verification letter should include the correct business format, correct salutations, along with vital information about current employment status. The letter should also include the company logo along with the signature of the person who writes the letter. 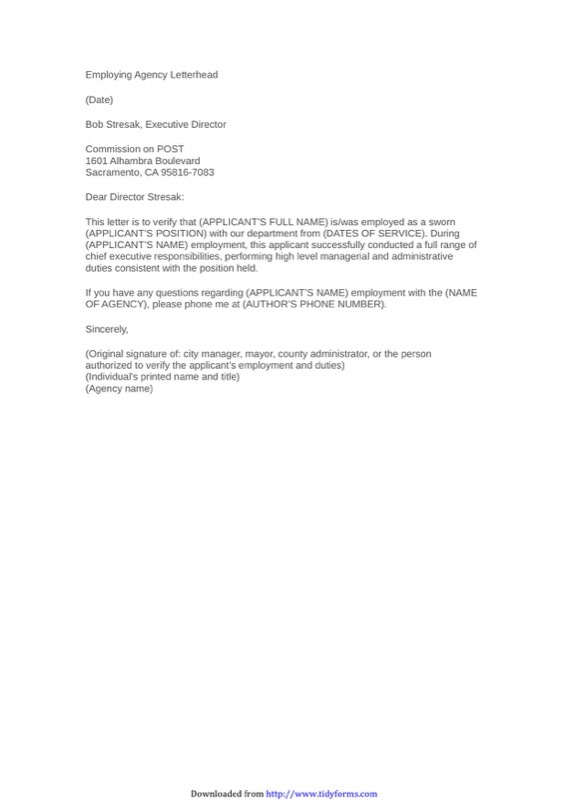 The verification letter should look professional and impressive.